United Way of South Central Nebraska has launched a new initiative to make giving back easier and more rewarding for small companies. 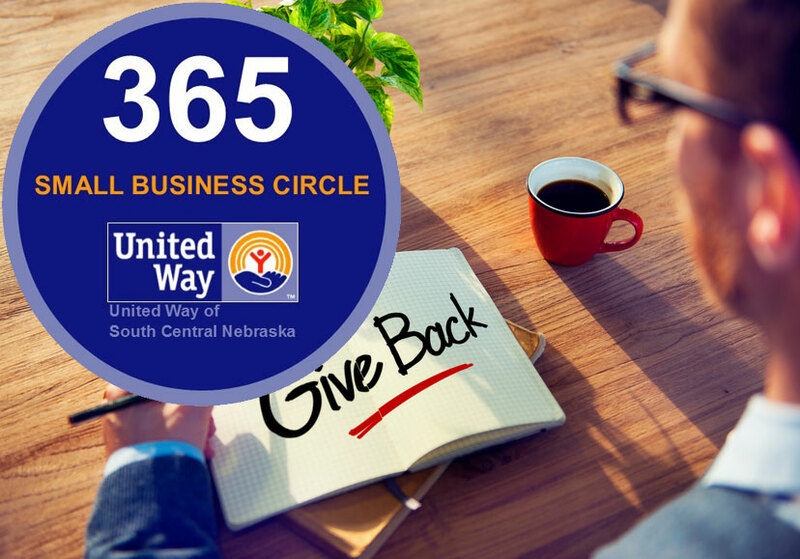 United Way invites small businesses to join the 365 Small Business Circle to support children and families in Adams, Clay, Nuckolls and Webster counties. Whether you’re a small medical practice or a home service company, we are happy to promote your business as a community partner and a 365 Small Business Circle member when you support United Way’s mission to improve our local quality of life and help to build healthy communities. Become a 365 Business Today! United Way’s Leadership Level inspires others to join them in providing hope and opportunities to individuals in need and strengthening our communities. Leadership donors contribute $1,000 or more annually to United Way. United Way’s Partnership Level is comprised of generous small businesses who look to change the odds of South Central Nebraska’s children and families, regardless of their current situation or circumstance, giving them equal opportunity to succeed in school and in life. We are deeply grateful to those who choose United Way as their charitable partner, whether through an employee campaign, small business giving, or contributions at the individual level. Small Businesses at the 365 level and above, encourage others to join them in providing optimism and openings to individuals in need and support in our communities. M & S Builders Inc.